Maverick Rioja winemaker Honorio Rubio’s groundbreaking wines have arrived in the USA for the first time. His series of limited edition whites from his best grapes, “Macerado,” “Lias Finas” and “Añadas,” are at the forefront of white winemaking in Spain and are world class efforts. Bodegas Honorio Rubio is a small, dynamic and naturally oriented family winery set in Cordovín, a high alititude town in the Rioja Alta sub-zone of Rioja. 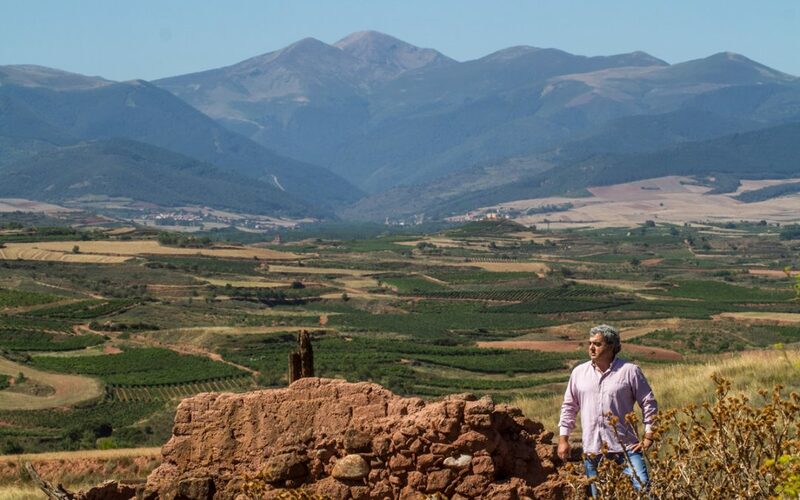 Honorio Rubio, the man, runs the winery with a maverick and visionary spirit, building upon the foundation of his family’s more than 100 year winemaking tradition, subterranean cellars and winery in Cordovan. “Macerado” 2013 is an “orange” style wine made with very long skin contact along the lines of Georgian wines, but in a very elegant and more accessible style than more severe examples of orange wine. “Lias Finas” 2011 is a long lees aged wine (16 months!) along the lines of barrel aged white Burgundy, but with Rioja character and elegance. “Añadas” is a non-vintage, solara aged blend of vintages combining the style of long barrel aging of Rioja and Burgundy with the blending method of Sherry to create a category -ending and outstanding white.